Celebrity Extra: Interview: Michael Welch: "Eclipse Is the Best Film Yet!" Interview: Michael Welch: "Eclipse Is the Best Film Yet!" 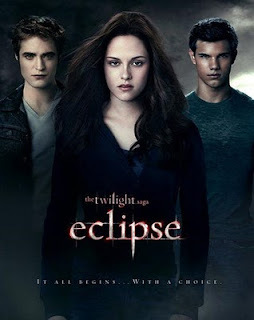 The third installment of the Twilight series, "Eclipse," hits theaters on July 30. I had the chance to talk with the ever-affable Michael Welch about the new movie, as well as Twilight conventions and his new film, "Unrequited." Celebrity Extra: “Eclipse” comes out soon, and I have to tell you, as a fan of the book and film series, I couldn’t be more excited. 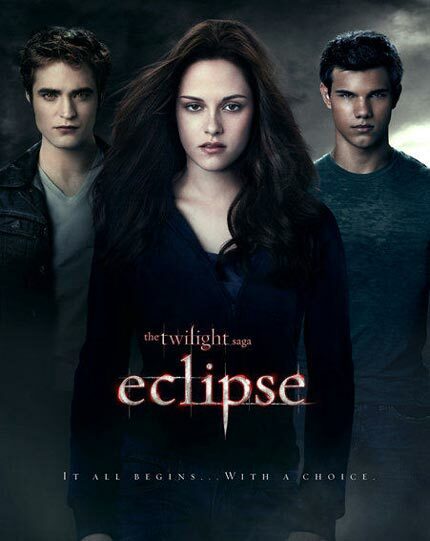 Michael Welch: I’ll say this, I just saw “Eclipse” myself and it is, in my opinion, the best film in the franchise by far. I’m thrilled about it. The thing that I think is so great is that it contains all the elements of the first two films. You still have that love triangle, and in fact it intensifies quite a bit. The relationship between Edward and Jacob really gets tense and comes to a crescendo by the end of the film. In addition to all that, there is an edge to it. There is a darkness to it that I don’t think was there for the first two films. The first films, there is definitely somewhat of a dark tone, but it gets a little bit more into that in “Eclipse.” I think that is going to attract more of a male audience, but I don’t think we are going to lose any of our female followers. I’m very excited. I think that fans are going to be thrilled about it. It exceeded my expectations. I’m very happy with it. CE: As long as we have shirtless, good-looking boys, you’re not gonna lose your female audience! MW: Yeah, they worked really hard on that. I’m good buddies with a lot of the wolf boys. I remember when they went up for that training. They had months and months of training and building up. It’s very cool. They all worked really hard and it paid off. The fighting looks incredible. I wish there was more of it. CE: Do you sometimes wish your character had more of an action role, so you could be in some of those cool, special-effects scenes? MW: No, I’m very happy with my role. That stuff is very difficult. I don’t envy people who have to work on fight choreography for months at a time. I’m sure it would be a lot of fun. At the end of the day, I think Mike Newton serves a very specific purpose in this franchise, and it’s been a lot of fun for me to be able to play him. I certainly don’t regret anything. CE: Were there any particular scenes you were excited about filming, or were you just glad to get back on set to see and work with everyone again? MW: Yeah that’s exactly it. Most films that you work on, they last about three months. You get really close to people and then unfortunately, more often than not, you never see them again. In this case, over these two years I get to work with – and possibly even two more years depending on how things go – I get to work with the same people as the same characters. It’s really great. We’ve all been on this journey together too. That’s another thing. It’s been quite a bonding experience. None of us were famous coming into this. They intentionally got an unknown cast, which I think was a smart decision on someone’s part because it sort of allowed the audience to believe all of us as these characters. So for “Eclipse,” there wasn’t any particular scene I was excited about filming. Most of my stuff is just in the cafeteria once again. I was just excited to see all my old friends and catch up and make sure everybody’s doing well. CE: Have you thought about how you’re going to feel when you wrap up that final day of shooting, almost like you’re “graduating” from the series and leaving behind all those friends and memories? MW: That is the perfect way of putting it. It will be a bittersweet moment on that last day after the last shot when it’s all said and done, and then that’s it. There’s no more for us to milk out of these stories or discover as these characters. That will be the end of the journey. Then we’ll just have our memories about the whole thing. It’s all been very surreal from the very beginning. It still is. It’s never really quite sunk in. But yes, to answer your question, I have thought about that moment. All I can say is that at the end of the day, I’m just very grateful to have gotten to be a part of this. When that moment comes, we will all move on and hopefully have long careers and adventures. CE: I see you have a few “Twilight” conventions that you’ll be appearing at, including a trip to Paris and an Alaskan cruise. Do you do many, and what do you like about these conventions? The travel certainly must be a bonus. MW: I do a lot of “Twilight" conventions. They’re a lot of fun. First of all, as you mentioned, you get to travel to all different kinds of places, and I’ve been all across the country. I’ve maybe done, who knows, 20, 25 of these conventions now. What’s great about it is that you really get a sense of not only the cultural impact of this story, but how this franchise affects people on a personal level. You really get a sense of the passion and the joy and the excitement that it brings out of people. And for me to get to experience some of that, to get to be in some ways the vessel in which a lot of these emotions come out is pretty remarkable. I know it’s not because of me, because I’m the same guy as I was before, it’s because of this thing that I’m a part of. And that’s not lost on me because of these conventions. I really get a sense of what (author) Stephenie (Meyer) created here and how much people love it. It’s a lot of fun. CE: Last we spoke, you had recently wrapped on the film “Unrequited.” Any word on when that is coming out? It looks really good – and intense – from the trailer I saw. MW: Thank you. The film should be released sometime before the end of this year. I don’t have a release date yet. The film was just a Cannes and there is going to be a premiere coming up in July. So, I think we are going to get it out there and I hope it gets as wide a release as possible. Beyond that, I don’t have any details. I’ll definitely keep everybody updated as soon as I know what the deal is.